Tennis is a demanding sport and joint and muscle problems are frequent complaints. 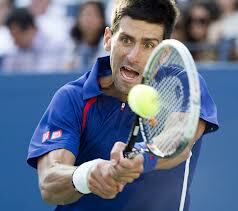 Tennis star Novak Djokovic is hampered by an ankle injury that a recent MRI found without structural problems. Rafael Nadal has seen his share of knee problems. He has reportedly been diagnosed with a partially torn patellar tendon in his knee, and missed most of last season due to his knee. Nadal has also reportedly been treated with Platelet Rich Plasma (PRP) for his knee. The nature of running and cutting sports such as tennis and soccer place great stress and stain on the lower extremity. The ankle and knee are often injured. The rigors of athletic competition, especially at the professional level results in chronic problems as the long season prevents optimal healing. Regenerative Medicine has emerged as a new treatment paradigm, with Platelet Rich Plasma (PRP) and Stem Cell Therapy as alternatives to surgery for sports injuries. Athletes are ever concerned with optimal performance. The regenerative healing potential from PRP and stem cells offers faster recovery and normal tissue healing as allure for athletes with sports injuries. Athletes are also concerned with career longevity, and the regenerative capacity of PRP and stem cells also may retard or prevent the degenerative changes that traumatic injuries inflict. Preventing arthritis may prolong an athletes performance in the twilight of their careers. Many promising sports stars have had their careers halted due to injuries in their lower extremity. Hip, knee and ankle disorders are numerous, and Platelet Rich Plasma (PRP) and Stem Cell Therapy may be a viable conservative option for athletic injuries. 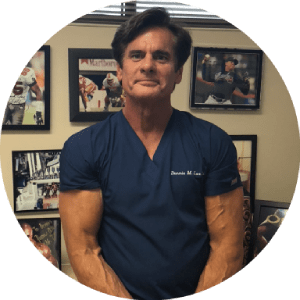 Dennis M. Lox, MD, serves patients in the greater Tampa Bay area, including, Clearwater, St. Petersburg, Tampa, New Port Richey, Sarasota, Orlando and Spring Hill. He has been pleased to accommodate the needs of patients throughout Florida, the United States, the Western Hemisphere, and Europe, as well. Located in the 33765 and 33765 areas, our offices can be reached at (727) 462-5582 (Clearwater) and (727) 817-1909 (New Port Richey). Call to schedule your visit today.